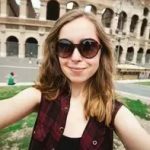 I will begin this article by stating the obvious, “just because a gluten-free diet is a craze, it doesn’t mean it’s healthy, moreover, its substitutes aren’t either”. What is gluten and its importance? Gluten is a naturally occurring component of some grains like wheat, rye, and barley. According to food experts, gluten is responsible for the elasticity of the associated food and their structure. Therefore, when we mention gluten free, it involves using additives to maintain the structure and elasticity of the food and most of these gluten free products are full of fibers like carboxymethylcellulose and stabilizing gums, i.e. xanthan or guar. In addition, flours used in gluten-free substitutes are also highly refined, meaning they lack nutrients. All the while, gluten seems to be capitalized by manufacturers. On the notion that gluten-free is healthier, producers are creating gluten-free products at a rate that can be described as being capitalist. This is the iconic ‘health halo effect.’ Despite this perception, a study found out that eating gluten-free doesn’t confer health benefits unless of course you are deemed gluten intolerant. Research has also estimated that gluten-free products are being charged more than conventional products due to their popularity. Who should be on a gluten-free diet? 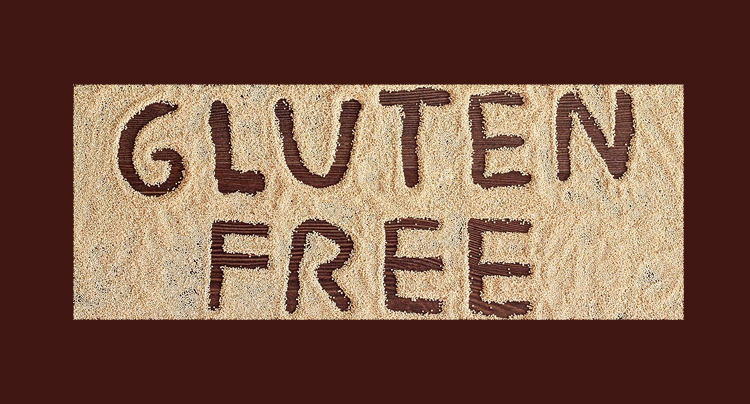 Individuals diagnosed with the celiac disease are the ones that require a gluten-free diet due to health reasons. Since their bodies cannot digest gluten, its ingestion can lead to an inflammatory response which damages intestinal cells and leads to potentially serious health problems. In addition, individuals not diagnosed with celiac disease, but still elicit reaction to gluten are termed as having non-celiac gluten sensitivity. In the latter condition, the problems caused by gluten are not as extensive as in celiac disease. However, the only treatment for both is a gluten-free diet. A gluten free diet is ideal for individuals diagnosed with gluten intolerance; there is essentially no problem with consuming gluten for the tolerant. It involves replacing gluten grain baked products like bread, pasta, and pizza with gluten free grains like rice, quinoa, and corn. However, cakes and crackers are gluten free, but are they healthy? There is a right way to go about it, and it involves doing your homework on nutritious substitutes. The presence or absence of gluten in a meal is not related to diet quality. The overall food choices made in the diet are what entails the quality, despite gluten being there or not. If an individual whose diet contains products made from highly refined flours switches to a gluten-free diet, and additionally increases fruits, vegetables, and other healthy gluten-free food intake, will result in being healthier overall. Just switching to gluten-free products which are lower in fiber, vitamins, and minerals than their gluten-containing counterparts, will not result in any health benefits. Moreover, a gluten-free diet may be higher in calories, as it contains high levels of fat and sugar that are used in order to compensate for the texture and flavor changes and is likely to promote weight gain. Removing gluten from your diet without apparent medical reasons can result in health consequences. A gluten-free diet high in processed substitutes can lead to chronic diseases, and numerous studies do concur with the fact that highly processed foods cause diseases like cancer, cardiovascular diseases, and diabetes. Aside from increasing the risk of cancer, diabetes, and high blood pressure, gluten-free diets affect your hormone levels that influence your mood negatively. Hormones like cortisol, dopamine, oxytocin and serotonin that regulate your mood fail to be released at optimal levels or even get blocked, thus making you always depressed. Your cardiovascular health is important as the air you breathe. No pun intended! Cardiovascular related diseases are the number one killer of people in the world, the second being cancer. Therefore eating a gluten-free diet composed of highly processed foods raises the risk of developing such diseases. As mentioned earlier, gluten-free substitutes made from highly processed foods have the potential of leading to weight gain, which leads to one being obese and ultimately pave the way for diabetes and related diseases. 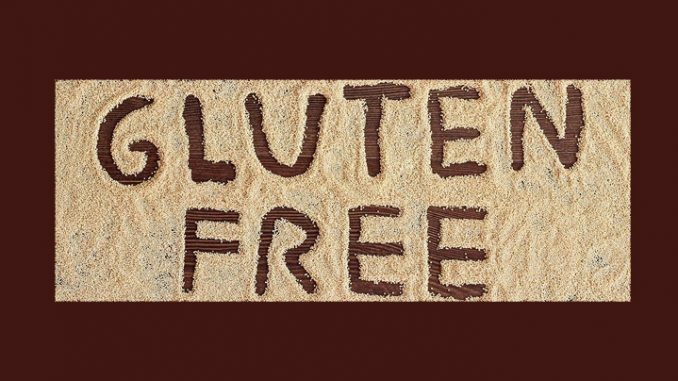 Gluten-free diets may expose you to diseases as well as reduce your lifespan invariably. What we put in our mouth needs to nourish us, down to our microscopic cells. Food determines our path in life, healthy or diseased. The famous saying, ‘we are what we eat’ is nothing short of what this article entails. Indeed, there are gluten-free substitutes made with healthy ingredients like almond meal, quinoa, and even eggs. All you need to do is be informed and check the list of available healthy options if you want to avoid gluten altogether. Have healthy day folks!